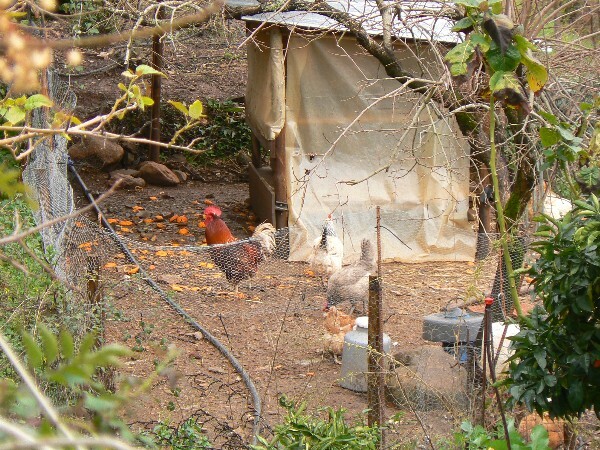 Home » Chickens » Prepare your vegetable garden with chickens. Did you know you can prepare your vegetable garden with chickens? 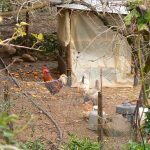 Chickens can help you in your garden and orchard in many ways. We use them as our little helpers. One of the things we use chickens for is to prepare the vegetable garden. A month before we start the garden, we fence in the area where we want to make the vegetable garden. We use an electric chicken fence with a portable fence charger with a battery feed. It has to be powerful enough to charge the whole grid of the fence. It not only keeps the chickens in but also keeps the animals that want to eat the chickens out. The chickens will eat all the weeds and weed seeds that are on the plot. 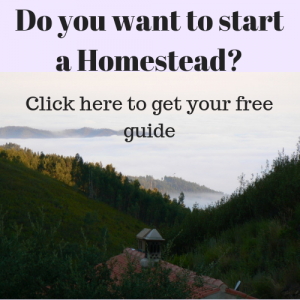 Which will make weed control in the garden very easy at the beginning. For 100 m² you will need about 5 chickens for a month to do the job. They will need a small shelter where they can roost and a place where they can lay their eggs, fresh water and some extra food. We made an A-frame chicken house with handles so we could carry it around on our steep land. For the future I will make one from lighter material that can be moved easily. On the plots where we have vegetables every year I want to make permanent chicken houses, so we only need to move the chickens. We move the chickens during the night in the dark when they are not so active. We put three chickens in a jute bag, the once that can carry 30 kg of grain. They stay very quiet in the bag and three chickens are easy to carry. If you think that is still to heavy you just put in two chickens. Sometimes we had a group of chickens that would just follow the chicken house wherever it went, but unfortunately this did not work with all the chickens that we had. At the end of the month I start bringing some extra compost to the plot. I just make small piles here and there, the chickens will spread it and clear it from weed seeds that survived the compost making process. After that we simply take the fence away and use a rotavator to soften up the earth because the little chicken’s feet make a dense crust at the service of the soil we have here. This might be different with the type of soil you have. Then you can go ahead and start organizing your vegetable garden and start seeding and planting.